1987 Swiss Federal Institute of Technology ETH, Ph.D. in Electrical Engineering, Title: "Dr. sc. techn. ETH"
Guido Gerig is Institute Professor in the Computer Science and Engineering Department of NYU's Tandon School of Engineering. He holds a PhD in Electrical Engineering from the Swiss Federal Institute of Technology “ETH Zurich”, Switzerland (1986), and a Venia Legendi (Dr. Habil, 1993) and an M.S (1981) from the same institution. He was appointed as a Fellow of the American Institute for Medical and Biological Engineering (AIMBE) in 2010. Starting image analysis with applications to satellite imaging, he became increasingly interested in driving problems from medicine, tackled in close multidisciplinary collaboration between medicine, engineering, and statistics. His research supports a number of clinical imaging research studies with novel, innovative image analysis methodologies related to segmentation, registration, atlas building, shape analysis, and image statistics. Driving clinical problems include research in schizophrenia, autism, multiple sclerosis, Huntington’s disease, studies of infants at risk for mental illness, and in general analysis of anatomical changes due to disease, therapy and recovery. 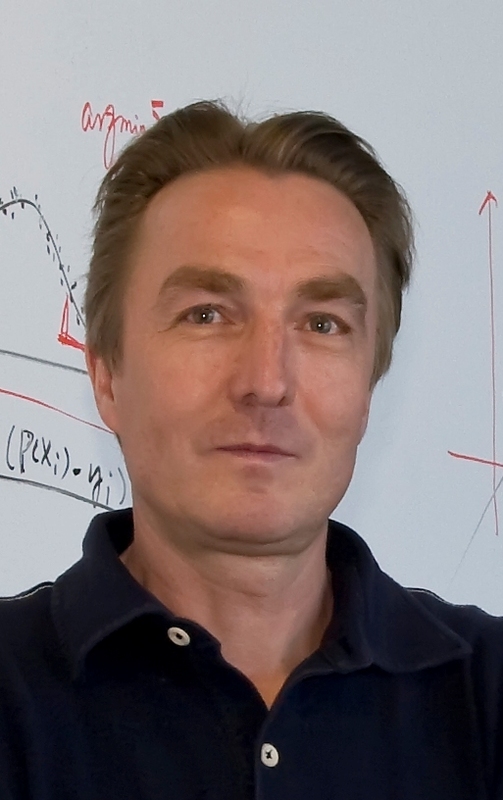 Gerig’s research resulted in various new image analysis methodologies for nonlinear processing, multi-scale segmentation and shape analysis, some of them first and seminal to the field. Applications resulted in new clinical research discoveries such as vulnerability for schizophrenia, differences in brain development in infants with autism, and correlation of shape atrophy with risk status in Huntington’s. New tools and methods are developed as open source software and made available to the public, including teaching materials and hands-on training workshops. Guido Gerig was previously USTAR Professor of Computer Science at the University of Utah (2007-2015) establishing the Utah Center for Neuroimage Analysis (UCNIA), Taylor Grandy Professor of Computer Science and Psychiatry at the University of North Carolina at Chapel Hill (1998-2007) launching the UNC Neuro Image Research and Analysis Laboratories (NIRAL), and Assistant Professor at ETH Zurich (1993-1998). Gerig holds several awards from Utah and UNC for Excellence in Teaching.